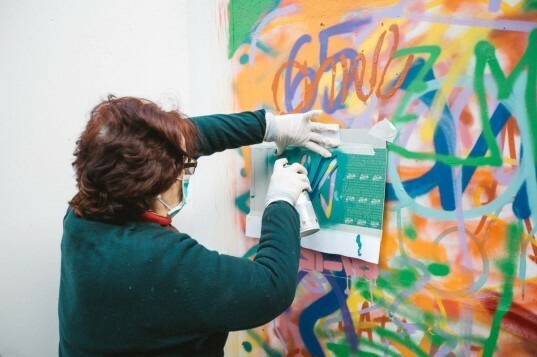 Before unleashing them on the streets of Lisbon, LATA 65 equipped a group of elderly artists with all the tools they would need to make outstanding art: workshops exploring the history and evolution of graffiti, gloves, masks and a few cans of paint. The group then had a chance to create their own stencils before they set off to put their learning to work. LATA 65 then guided the group to empty spaces around the city that were desperately in need of some color. The subsequent creations are as diverse as any street art might be: bright, colorful flowers create a gentle vibe and funky tags round out the wall with a touch of edge. 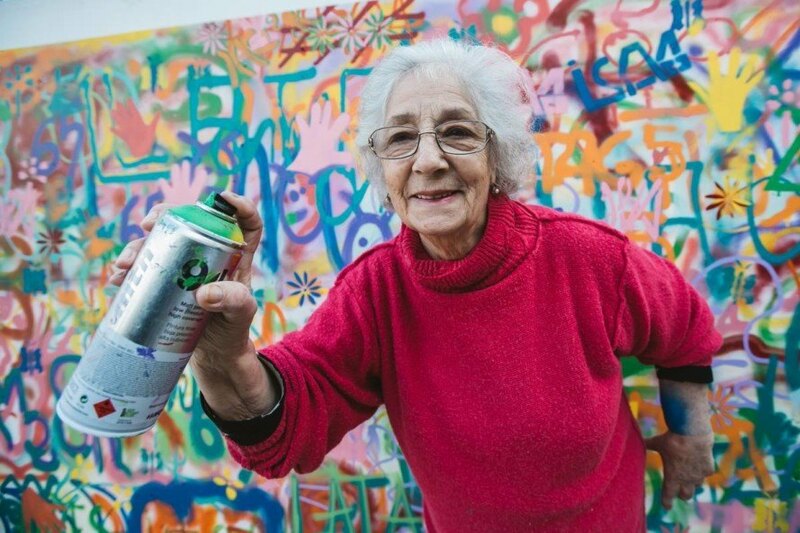 Hopefully kids will look at their grannies through a different lens after this.